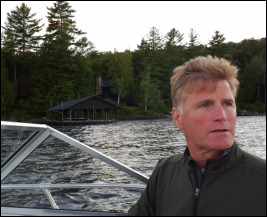 Click to see why Tim has idled his boat to watch a spectacular sight on Long Lake in the Adirondacks. 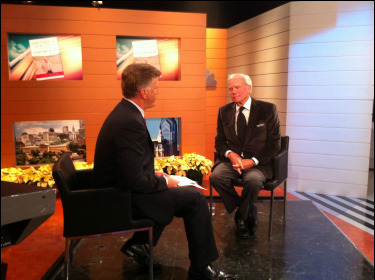 Click to watch Tim Lake and Tom Brokaw in 2011. Tim Lake is also the host of Empire State Weekly, a political talk show on 10 New York State TV stations. Tim Lake with Diane Donato, Empire State Weekly contributor and WGY Radio News Anchor, and David Lombardo, Albany Times-Union reporter. 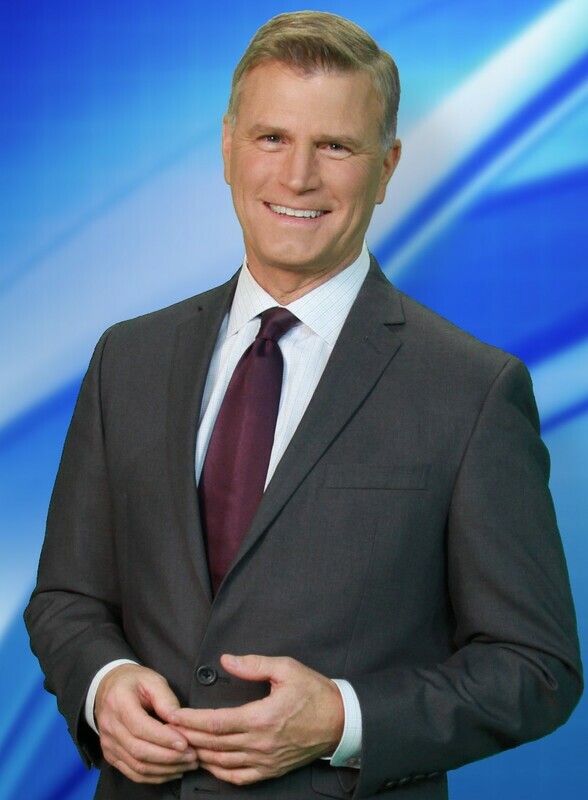 Tim Lake as the primary news anchor at WCAU-TV in Philadelphia. With Renee Chenault-Fattah at the Phillies World Series victory celebration in 2008. Tim Lake is the author of Hang on and Fly, an original narrative non-fiction story of the deadly and forgotten era of the first budget airlines in North America. A veteran of newspapers, radio, and television news reporting and anchoring, Tim is an upstate New Yorker who lives in eastern Pennsylvania and upstate New York where he researches and writes his books. 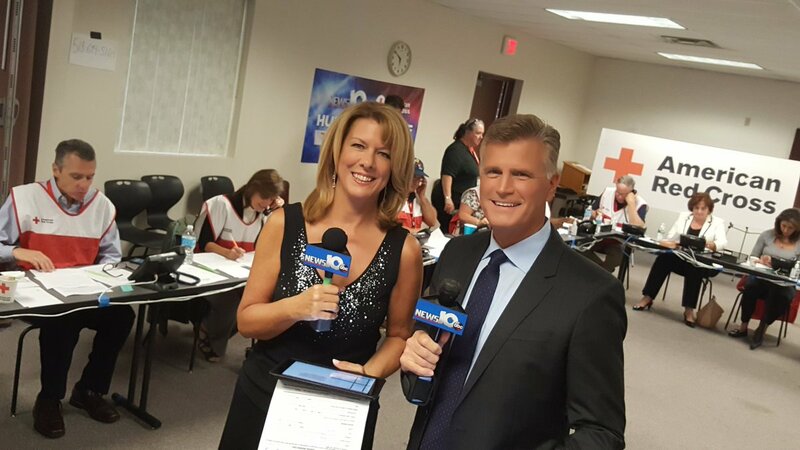 He spent 21 years as a news anchor for the CBS and NBC-owned television station, WCAU-TV, in Philadelphia, the nation's 4th largest TV market. Previously he was a news anchor in Houston, Texas and Charleston, S.C. 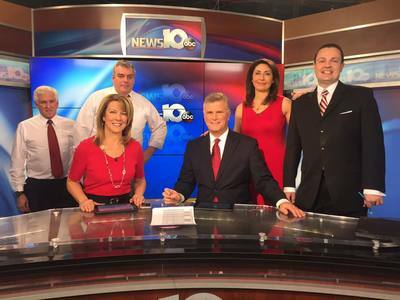 In 2016, Tim joined WTEN-TV in Albany, New York as primary co-anchor of the evening news for the ABC television affiliate in New York State's capital. 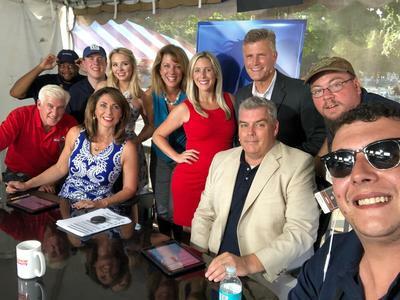 Utilizing his personal background and connection with each region of upstate New York, in 2017 Tim became the host of Empire State Weekly (ESW), a news and interview show focusing on New York State issues and politics. ESW airs on TV stations in Albany, Buffalo, Rochester, Syracuse, Utica, Binghamton, Elmira, Watertown, and Plattsburgh-Burlington. Previous book titles include Association Island, the history of General Electric's corporate island summer camp in Lake Ontario and the famous Americans who attended the rustic camps. Henderson Harbor is also a non-fiction account of GE's early corporate playground in the lake along with tales of bootlegging, early Coast Guard activities, wooden boats, and architecture of summer cottages in a small fishing community. The book also chronicles the secret vacation lives of three U.S. Secretaries of State. As a journalist in New York State, South Carolina, Texas, Pennsylvania, New Jersey, and Delaware, Tim has covered or reported and anchored news broadcasts on every major news story of the past few decades including the 1985 Mexico City Earthquake, Iraq War politics in Washington, multiple Hurricanes, commercial airlines jet crashes, the 9/11 terror attacks, several national political conventions, and Presidential inaugurations from Ronald Reagan to Donald Trump. He has written for the Jamestown Post-Journal, The Buffalo News, Pittsburgh Post-Gazette, Thousand Islands Life, and worked for CBS, NBC, and ABC-affiliated or owned and operated television stations in Charleston, Houston, Philadelphia, and Albany. He has hosted many special events TV shows carried by multiple TV stations, most notably from Longwood Gardens in Pennsylvania, the Philadelphia Museum of Art, The White House and Capitol Hill, New Year's Eve live telecasts, World Series celebrations, and he has anchored full-length live news shows from Washington, New York, Philadelphia Eagles games, hurricanes and snow storms, and even from helicopters in flight, several times. He has also appeared as a local contributing reporter on NBC Nightly News and the CBS Evening News. Tim was once arrested and jailed for broadcasting a news report in South Carolina, but the charges were later dropped and the court record expunged. Tim is a two-time Emmy award-winner and was inducted into the ​Philadelphia Broadcast Pioneers Hall of Fame in 2011. ​Since 2016, Tim has been a primary news anchor at Nexstar-owned News 10 ABC, WTEN-TV in Albany, New York., where ratings for the formerly third place news station have grown to number one in the Albany-Schenectady-Troy market by 2018. Tim is currently researching his fourth book, an historical narrative nonfiction tale about a once prominent but long forgotten individual from the early 20th Century. From a family of 13 whose German and Scandinavian ancestors settled in Philadelphia in 1733, and whose English ancestors settled in Newport, Rhode Island and Newtowne,Massachusetts (Cambridge) in the late 1600's, Tim splits his time between Chester County, Pennsylvania, New York's Capital Region, the eastern shore of Lake Ontario, and the Adirondack Mountains.